Do Clothes Make the (Wo) Man? 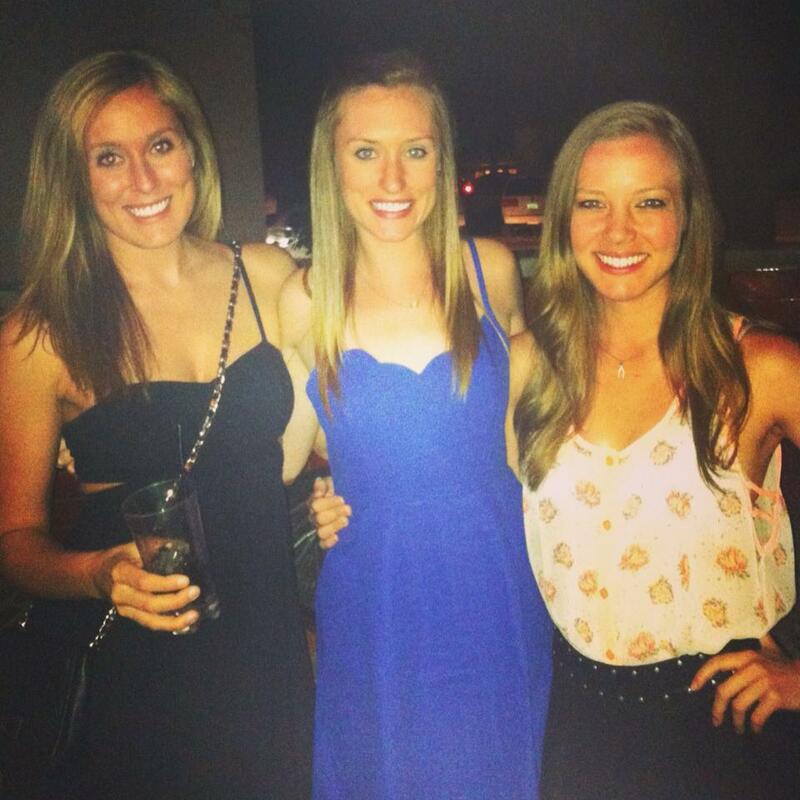 This past weekend I went to Scottsdale, Arizona to visit two of my best girlfriends. We met through mutual friends three years ago when I first moved to West LA . We hadn’t all been together in over a year and I had been looking forward to this trip for months. These girls have been there through ups and downs, late night phone calls, road tripping adventures and the likes. They also just get me. They not only tolerate, but encourage all my quirky behaviors. Remember that whole planking trend? yea, I was into that, and they were right there with me. Humiliating ourselves in public settings for the sake of our amusement? So this weekend we reconvened to stir up some trouble in the desert. Saturday night we decided to go out to some clubs. I hadn’t been to a club in almost a year and a half, so I was excited to go and dance and have fun with my friends. If you know me, you know that if I am not at work I am most likely in work out clothes. Since I work out every day, usually at night, I rarely find the point in spending time to look nice when I’m rushing to and from class. When we got to the club I slowly found myself becoming critical of how I looked and comparing myself to girls around me who fit the societal image of what ‘pretty’ is. First I didn’t like how the dress made my waist look, then I didn’t like how my hair was hanging. All the old insecurities that I had worked so hard to conquer by focusing on my ability instead of my physical self had re-emerged. Soon I felt so insecure and out of place that I found myself wishing I could have come out to the bar in spandex and a sports bra. It was then I realized that those clothes were like my safety blanket. Although I am sure to any outsider I look far better in a dress and makeup then in sweaty gym clothes, the pride I felt in what I did in the gym made me feel so powerful and proud that it made me feel beautiful. I always preach that it’s important to focus more on what your body can achieve instead of how it looks, and I believe that to the fullest extent. Your body may not be physically capable of looking like your “dream body” due to bone structure, skin type, metabolism etc. But most goals you can achieve if you put in the effort. I think I learned this weekend that while I may have that confidence in the gym, and when I’m going about my daily life in my safety blanket, those insecurities can still emerge when I step outside that comfort zone. Insecurities aside I still had an amazing time and danced my face off with the help of some glow sticks and smoke machines. I’m so sad that I won’t be able to see them for a while, but I’m already excited for the next visit. Are there any situations that trigger that insecure/out of place feeling in you? How do you go about trying to conquer it? This entry was posted in Uncategorized and tagged beauty, Body Image, diet, Fitness by fionaboger. Bookmark the permalink. Totally! It’s crazy how your mood and view of yourself can change so much.